The Koupon Keeper Shopping List Envelope is perfect for everyone who clips cents-off coupons to redeem when doing the weekly shopping. Use the front of the envelope for your complete shopping list, and insert your coupons in the envelope so they are handy at the checkout. 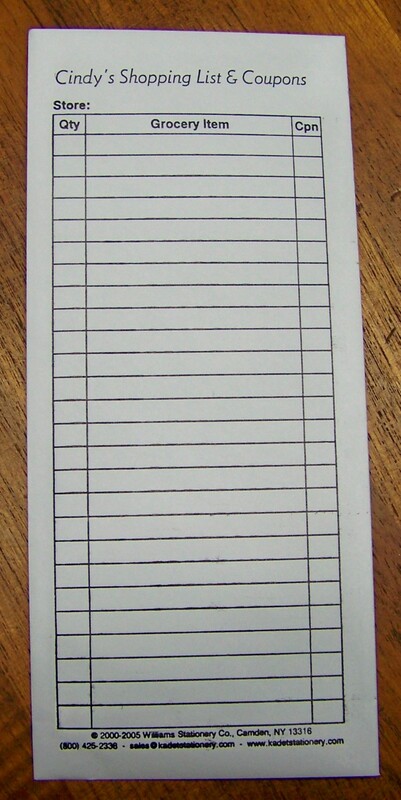 52 Koupon Keeper Shopping List Envelopes, 3-7/8 x 8-7/8 inches, letterpress printed in black on the top of the list with one line of up to 30 characters. Please limit your copy to one line of 30 characters or less, no accented letters.